James was the son of the late James and Mary Jane Leaver. He was the husband of Elizabeth Leaver of 428, Briercliffe Rd., Burnley. Pte. James Leaver, No. 33198, Loyal North Lancashire, is reported as missing, his wife having been notified to this effect by his officer. 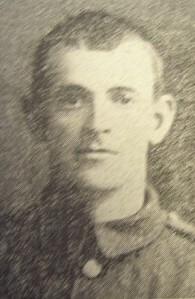 He enlisted on June 14th, 1916, and left for the front on November 3rd, 1916. Mrs. Leaver last heard from him on April 13th, when he was working with the R.G.A. heavy batteries. She would be glad to receive information of him from anyone connected with the regiment. She resides at 428, Briercliffe-road, with her two children. Pte. Leaver was 31 years of age, and was formerly employed as a tape labourer for the Queen-street Manufacturing Co.